Even the most rugged of gentlemen needs a bit of a trim and a pluck from time to time. From a toenail in need of attention, to the odd errant hair and dubious bristle, a regular tidy up is essential maintenance for many a dapper Barrington’s Watchwinder customer. But that doesn’t mean it’s any fun whatsoever. If you’re weary of the weekly “clean up job”, these 5 luxury men’s grooming kits will make your humdrum chore feel like a pleasure. 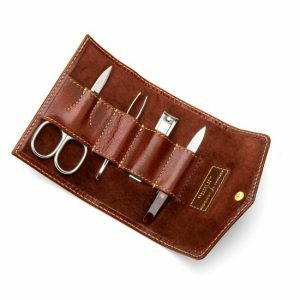 These exquisitely handmade grooming tools in a devastatingly good looking leather case demonstrate that Czech and Speake knows a thing of two about putting the “man” into manicure. 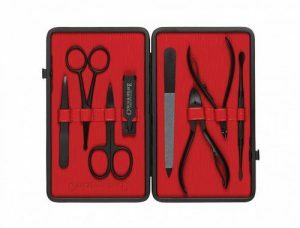 All the kit you need to take care of nails, eyebrows and more is very dapperly packaged up in this desirable set. The unrolling of this leather-clad kit feels like the opening of a very aesthetically pleasing toolbelt – only in miniature. 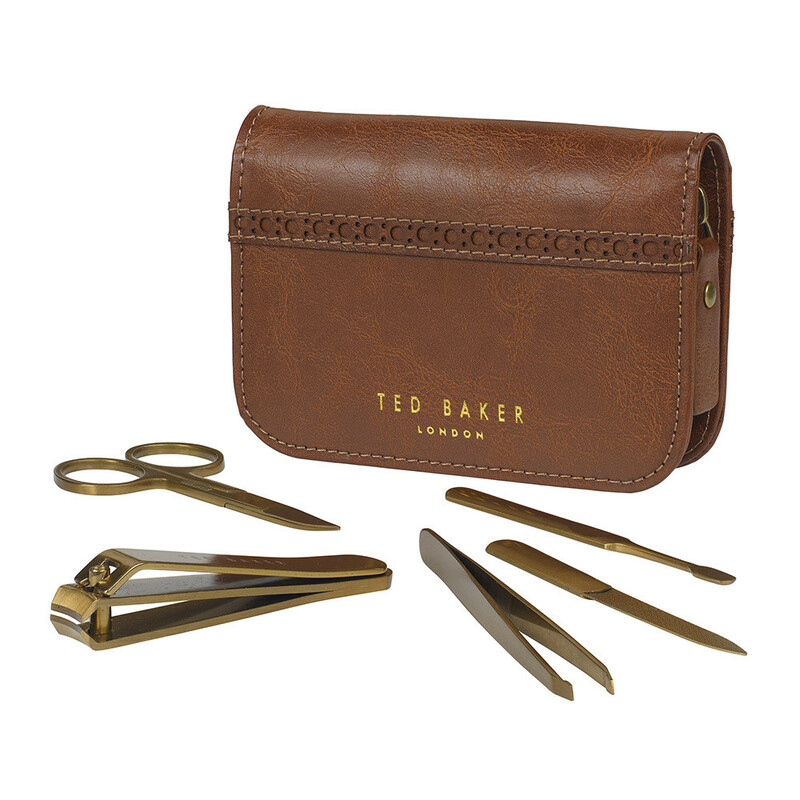 The soft espresso suede lining and cognac English bridle leather make personal grooming feel like a proper treat. 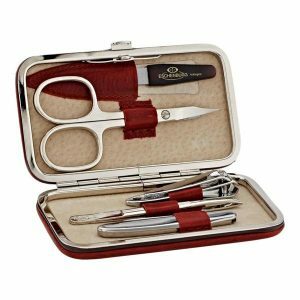 The dashing executive looks of this definitive gentlemen’s grooming kit give this set a swagger all of its own. Featuring 6 stylish, minimal tools rendered in gunmetal, this luxury leather wrap is a real winner. Conisseurs of a well-executed vintage aesthetic will love this offering from Truefitt & Hill. Clad in black or brown leather, this beautifully made set has a distinctive old-fashioned look and feel which, in turn, will make you feel a million dollars. Available in a stupidly handsome brogue style, this faux leather case will please animal-loving gents who don’t want to compromise on looks. Featuring a luxurious lining and all the kit you need to look sharp, this is an affordable but luxe-feeling option. 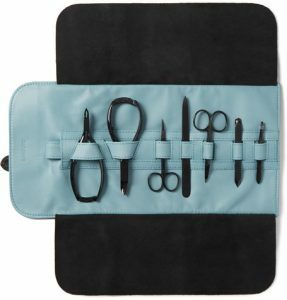 Do you own a manicure set or grooming kit? Which of our picks do you prefer? Share your favourites and your reviews with other readers below.